Fluoroquinolone antibiotics are very commonly prescribed to treat skin infections, sinuses, respiratory tract infections, urinary tract infections, and gastrointestinal infections. They include drugs such as Avelox, Cipro, Factive, Floxin, Levaquin, and Noroxin. Although they are commonly used, in 2013, the FDA reported that drugs containing fluoroquinolones can cause peripheral neuropathy. This condition may be permanent, and its onset is rapid. Symptoms of peripheral neuropathy, include organ damage, personal disability, chronic nerve pain, sensory problems, and muscular weakness. Our fluoroquinolones lawyers know that they have also been associated with an increased risk of aortic aneurism, retinal detachment and Achilles tendon rupture. If you suffered harm as a result of fluoroquinolones or other dangerous drugs, the experienced product liability lawyers at Moll Law Group are available to help you recover compensation for your injuries. Billions of dollars have been recovered in cases in which we were involved. In product liability lawsuits filed against the manufacturers that use fluoroquinolones in their antibiotics, plaintiffs allege a failure to warn about serious side effects such as peripheral neuropathy, aortic aneurism, retinal detachment and Achilles tendon rupture. A failure to warn is a marketing defect that a plaintiff can establish by showing that appropriate warnings were not given, and as a result the plaintiff was injured. For example, a plaintiff who took a fluoroquinolone-based antibiotic, was not warned of the potential side effects, and suffered peripheral neuropathy, aortic aneurism, retinal detachment or Achilles tendon rupture, has a prima facie case for failure to warn. Depending on the state, plaintiffs alleging a failure to warn rely on theories of strict liability, negligence, or fraud. The best theory for a fluoroquinolones lawyer to use may depend on what is allowed in the court with jurisdiction over the case. When a state allows plaintiffs alleging a failure to warn to bring a strict liability case, this means that the plaintiff can prevail even if the defendant used reasonable care. However, some states do not allow the theory of strict liability to be used in a failure to warn case, and in those states, the plaintiff needs to show that the defendant manufacturer breached its duty of care in failing to provide adequate warnings. Fraud can be challenging to prove. When fraud is the theory used, a plaintiff generally needs to prove that a drug company intentionally misrepresented its drug's safety. In most product liability cases, expert witnesses play a large role. There may be multiple experts. 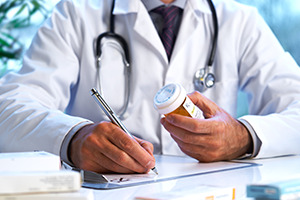 Among them will be medical experts who must testify about the causal connection between taking fluoroquinolone and peripheral neuropathy, aortic aneurism, retinal detachment or Achilles tendon rupture. Other drug manufacturing experts may be needed to testify about the labels or warnings used in connection with these antibiotics and whether the defendant failed to warn. If you successfully prove a failure to warn case, you may be able to recover compensatory damages, the purpose of which is to restore you to the condition you were in before suffering the injury. The damages take into account both economic and noneconomic losses suffered due to the harm caused by the defendant. Economic damages may include medical expenses, vocational rehabilitation, lost income, lost earning capacity, and out-of-pocket expenses. Noneconomic damages may include mental anguish, pain and suffering, and loss of enjoyment. If you developed peripheral neuropathy, aortic aneurism, retinal detachment, Achilles tendon rupture or any other serious medical conditions after taking antibiotics containing fluoroquinolones, the product liability attorneys at Moll Law Group are available to help you recover compensation for your injuries. Our firm represents injured consumers throughout the U.S., including in states such as California, Florida, New York, Texas, Pennsylvania, Ohio, and Michigan. Call us at 312-462-1700 or use our online form to schedule a free consultation with a fluoroquinolones attorney.